Eddie Brock, look away now; the alien symbiote is almost ready to seize control of its latest host. Omega Underground is reporting that the Sony-backed Venom spinoff is now poised to enter production across Atlanta and New York City on September 1st, when Zombieland director Ruben Fleischer will be calling the shots from behind the lens. 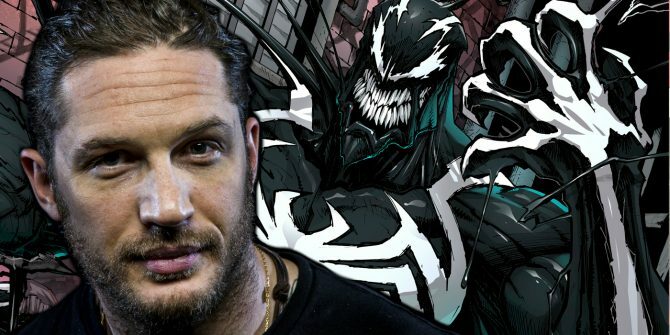 We know that Fury Road star Tom Hardy has signed on to play Brock/Venom in a film that will launch Sony’s own Marvel Universe that is ostensibly independent from the Marvel Cinematic Universe. It’s a wildly ambitious strategy, particularly when you consider how many fans felt Venom’s last screen appearance (see: the overstuffed and overblown Spider-Man 3) left much to be desired. Other plans include movies featuring such iconic characters as Silver Sable and Black Cat, and despite rumors to the contrary, it’s understood that Tom Holland’s friendly neighborhood Spider-Man will remain on the Marvel side of the fence – for now, at least. Getting back to Venom, though, and Ruben Fleischer’s anti-hero spinoff was always targeting a fall 2017 start – Omega Underground’s findings essentially make that timeframe official. Here’s a pair of production notes detailing the specifics of Venom‘s shoot across New York and Atlanta. Assuming Omega Underground’s report checks out, and we’re inclined to believe it will, that means the first set photos ought to be online within the first few weeks of September. Of course, Sony will likely roll out an official still of Tom Hardy suited and booted long before the cameras begin rolling. Until that day arises, though, there’s always BossLogic’s striking piece of concept art – concept art that imagines The Dark Knight Rises star in the title role – for you to peruse. Generally speaking, though, it’s difficult to imagine another actor better suited to play Venom than Tom Hardy. Whether it’s Bronson, a dual role in Legend, or his magnetic performance in Peaky Blinders, Hardy will undoubtedly bring a fierce sense of intensity to the vengeful, twisted soul that is Eddie Brock. All will be revealed when Venom slithers into theatres on October 5th, 2018 and no, it’s not considered to be part of the Marvel Cinematic Universe.